Agrostis.gigantea. Anna Gardner. Anna Gardner.Iowa State University.www.eeob.iastate.edu.research.iowagrasses.index.html (Accessed 3/2014). Agrostis is a genus of perennial or annual C3 grasses. 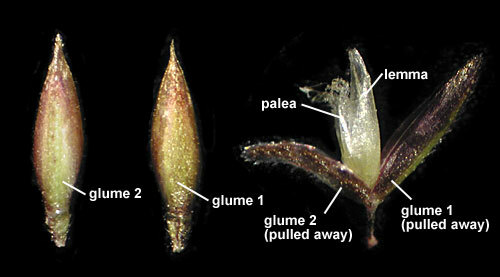 Flower spikelets 1-flowered, glumes (scales at base of floret/flower) narrow, 1-veined, nearly equal and shorter than lemma (outer scale/bract of the floret), veins of lemma inconspicuous, back rounded, sometimes with a short awn from the back; inner scale of the floret (palea) small and thinly membranous or missing; when ripe, the floret breaks off above the glumes leaving them behind; Inflorescence branched, spreading or contracted. 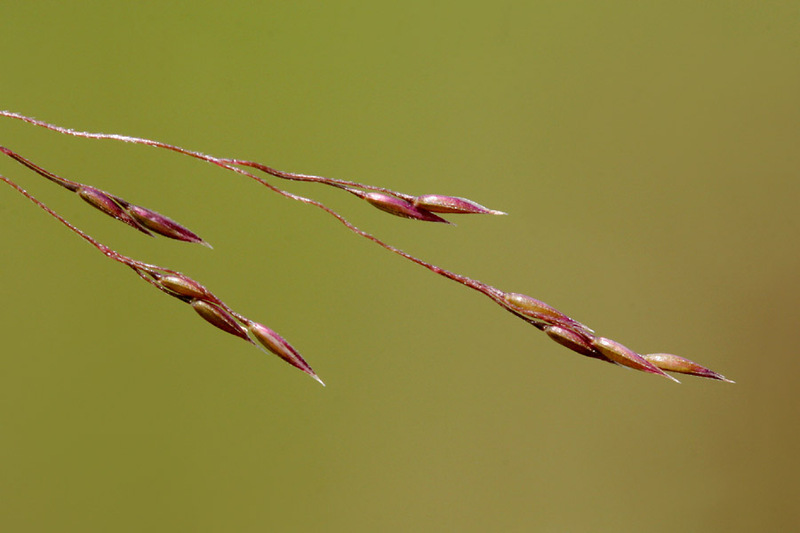 Agrostis scabra.copyright 2002-2009, Patrick Alexander.polyploid.net (Accessed 4/2015). Origin: Most of ours are European pasture grasses.